We make reference to the Settlement Plan of Agrokor d.d. et al as confirmed by the Commercial Court of Zagreb on 6 July 2018. All Noteholders (as defined below) who wish to be cleared to receive the New Instruments under the Settlement Plan must validly complete a KYC Form (see further details below) prior to the Initial KYC Completion Date. Failure to complete a KYC Form by the Initial KYC Completion Date may result in a delayed processing for the Noteholder. In that regard, this announcement contains instructions specifically for Noteholders, who are strongly recommended to follow these instructions and to complete and submit a KYC Form by 4 February 2019. Noteholders will NOT be restricted from trading the Notes by completing the KYC Form. Noteholders will also be contacted through the clearing systems regarding the KYC process. Further communication is expected for the Noteholders to follow in the upcoming weeks how to complete additional steps required for receiving the New Instruments, including by or on behalf of BNY Mellon with respect to the designation as required under the Settlement Plan (see below). The recognised noteholder in respect of the (a) EUR 325 million 9.125% New York law governed senior notes due to mature in 2020 (ISINs: XS0836495183 / XS0836495696), (b) USD 300 million 8.875% New York law governed senior notes due to mature in 2020 (ISINs: USX0027KAG32 / US00855UAB52, CUSIPs: X0027KAG3 / 00855UAB5), both issued by Agrokor d.d. pursuant to an indenture dated as of 10 October 2012 and (c) EUR 300 million 9.875% New York law governed senior notes due to mature in 2019 (ISINs: XS0776111188 / XS0776110966) issued by Agrokor d.d. pursuant to an indenture dated as of 25 April 2012 is Bank of New York Mellon (“BNY Mellon“) in its capacity as trustee for and on behalf of the holders of these notes (together, the “Notes” and the holders thereof, the “Noteholders“). 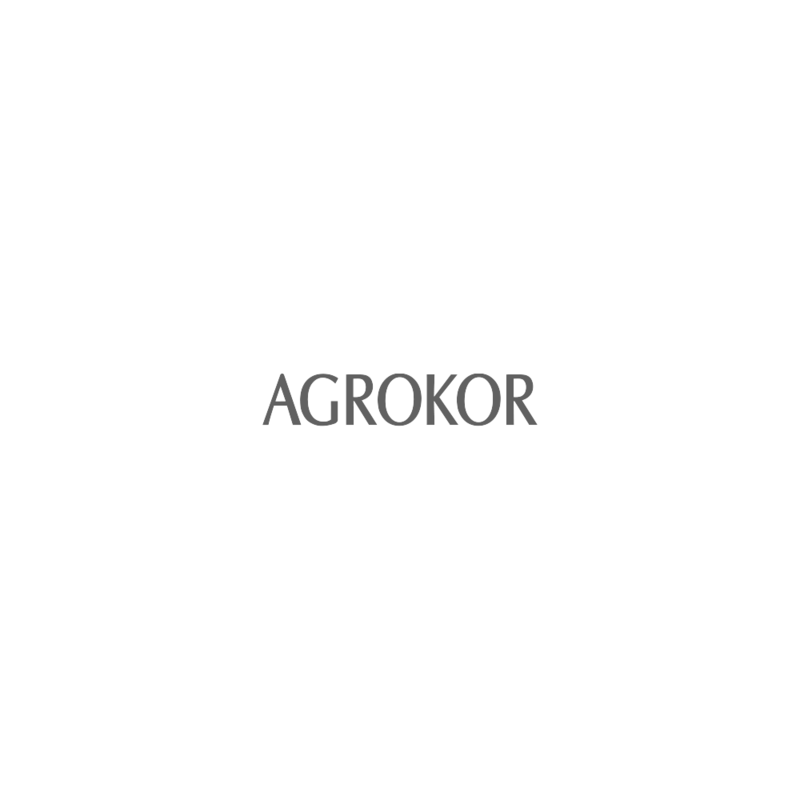 As part of the Settlement Plan of Agrokor d.d. et al. (the “Settlement Plan“), Aisle Dutch TopCo B.V. will issue convertible bonds (“Convertible Bonds” or “CBs“) and Aisle STAK Stichting will issue depositary receipts (“Depositary Receipts” or “DRs“) to Agrokor’s creditors per their entitlement allocations for BNY Mellon. The Convertible Bonds and Depositary Receipts together are defined as the “New Instruments“. New Instruments will be stapled together into packages consisting of 4 CBs and 1 DR (each a “Strip“) with each Strip having a Settlement Plan value of EUR 5. Every USD 100,000 of USD-denominated Notes will receive 9,523 Strips. Under the Settlement Plan, only BNY Mellon is entitled to receive the New Instruments issued for the Notes unless BNY Mellon appoints a Noteholder as its designee to receive the respective portion of New Instruments on its behalf directly (see Cl. 18.3.1 of the Settlement Plan), each a “Designated Noteholder“. The designation steps may include a blocking of the Notes from trading at a later point in time. Please note that the Extraordinary Administrator is not responsible for the designation process pursuant to the Settlement Plan. It is expected that additional information on the designation process will be provided to Noteholders by or on behalf of BNY Mellon within the upcoming weeks. Besides being appointed as a Designated Noteholder by BNY Mellon, each Noteholder must submit a properly completed KYC Form, in order to receive the New Instruments on the Implementation Commencement Date. This is a legal obligation which is based on (among others) international anti-money laundering laws. Anti-money laundering is a term which is used in the financial and legal industries. It refers to a set of procedures that financial institutions are required to undertake to prevent, detect and report money laundering activities. Part of the anti-money laundering procedure is a get to Know Your Customer (“KYC“) verification process. The KYC Form contains KYC information and includes all actions required to complete the KYC verification process. The KYC process on behalf of Aisle Dutch TopCo B.V. and Aisle STAK Stichting will be managed by TMF Group (“TMF“). TMF is a multinational professional services provider that provides HR and payroll, accounting and tax, corporate secretarial, global governance and administration services to businesses. TMF will provide corporate management and administrative services to Aisle Dutch TopCo B.V. and Aisle STAK Stichting. All information provided by submitting the KYC Form to TMF will be shared with Agrokor d.d. et al and also with Lucid Agency Services Limited and its affiliates (“Lucid“). Lucid provides independent, conflict-free, third-party loan agency, security agency and bond trustee services. Lucid will provide a number of agency and trustee services in connection with the New Instruments including, but not limited to, acting as the Convertible Bonds Trustee and as the Securities Escrow Agent. Noteholders can obtain the KYC Form from here: http://nagodba.agrokor.hr/wp-content/uploads/2019/01/Agrokor-Noteholders-KYC-Form.docx . Noteholders must complete the KYC Form and provide any further additional information required by TMF or required in accordance with local law requirements in order to be ready to receive the New Instruments (and provided it is registered as a Designated Noteholder). Please note that trading is not restricted unless and until Notes are formally blocked as may be required during the designation process. It is expected that on or about the Public Announcement Date, a corporate action will be set up to allow holders to block their Notes in the clearing systems at the latest on the Claims Record Date in accordance with the standard procedures of the clearing systems. These standard procedures will be in place, regardless of any blocking as may be required by BNY Mellon during the designation process. In order to be ready to receive the New Instruments on the Implementation Commencement Date, all Noteholders – regardless of, and without prejudice to, the designation process to be separately completed with BNY Mellon – are urged to complete the KYC Form as soon as possible and are encouraged to not to wait until the Public Announcement Date or Claims Record Date given the large number of Noteholders that need to be processed. When submitting their KYC Forms, Noteholders are required in anticipation of the required blocking to include an eight (8) digit alphanumerical reference which they have to generate (just make up) themselves. The reference must be included in an electronic blocking instruction which may be required at a later stage to be submitted via the clearing systems. Failure to provide a matching reference number in the KYC Form and blocking instruction will result in a potential delay in the delivery of the New Instruments. Failure by a Noteholder to validly complete, execute and submit the KYC Form in accordance with the instructions set out in the KYC Form prior to the Initial KYC Completion Date and comply with any steps both for designation (still to be released by or on behalf of BNY Mellon) and for blocking, will result in the Designated Noteholder not being issued with the New Instruments on the Implementation Commencement Date. Any New Instruments allotted to a creditor or a Designated Noteholder which has not validly completed and executed a KYC Form prior to the Initial KYC Completion Date will on the Implementation Commencement Date be issued to the Securities Escrow Agent upon and pursuant to the terms of the Securities Escrow Deed, as described in the Settlement Plan. The New Instruments will only be released to the Designated Noteholder from escrow upon satisfaction of the applicable conditions specified in the Securities Escrow Deed. In order to ensure that Designated Noteholders receive their New Instruments on the Implementation Commencement Date, it is strongly recommended that the KYC Form be submitted without undue delay but in no case later than 4 February 2019. All undefined terms with capitals used in this notice have the meaning as set out in the Settlement Plan, which can be found on http://nagodba.agrokor.hr/en/settlement-plan-agrokor-creditors/ .